The world of food offers me several guilty pleasures. I enjoy the chocolate, steaks, custards and deep fried lard like anyone, and for good reason. It is sweet, decadent stuff that tiptoes across my tongue like a little ballerina sprinkling happiness with every turn. However, there is one gastronomic delight that I enjoy above all others, but I’m not exactly sure why. 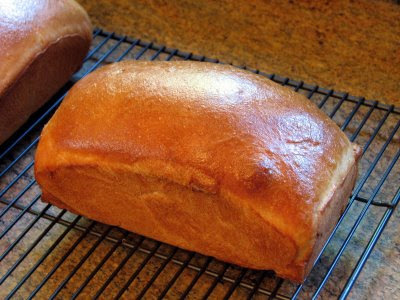 Fresh, homemade bread is one of my favorite foods of all time. I think it may have as much to do with the smell as the taste and texture. The rising dough smells of yeast triggering subtle thoughts of what is to come. Then, as it bakes in the oven, wafting aromas envelope your home and entice the mind in what can only be described as culinary foreplay. You watch it closely, and when color is exactly right, you pull the billowy loafs from the oven. I like to trace a thin coat of butter across the golden mounds, making it slightly glisten under the warm lights of the kitchen. Next, you gently coax each loaf out of its pan and lay it carefully on a cooling rack to rest. At this point, moments seem like hours. Finally, I can take no more. I pull a sharp knife from the drawer and measure one inch from the end to start my cut. In that last moment of weakness, I quickly adjust the knife to slice off a full two inches of steaming bread instead. The guilt will come later. With a tender hand, I slather the entire face with butter and see it melt instantly into the spongy core. Although it is still almost too hot to hold, I wait no more and raise it to my mouth and pierce its soft flesh. Small tendrils of steam dance across my face as I savor bite after bite. 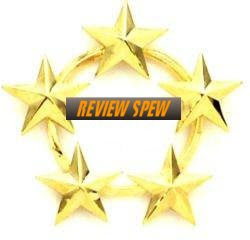 Five delicious stars my friends. wow! I wonder what you would do to a hot piece of apple pie after hearing that arousing novel? In total agreement. Wife, dare I say it, has a bread machine, but still great, great bread. Raisin bread. Oh, yeah. Anon: I would destroy a hot apple pie! unfinishedrambler: We keep the pics the same so you won't know our rating until the end of the review. That way, when you think I am going to zig....I zag. Ah, now I see the method to your madness.